Introducing ReadablePro. A readability tool with extra power. 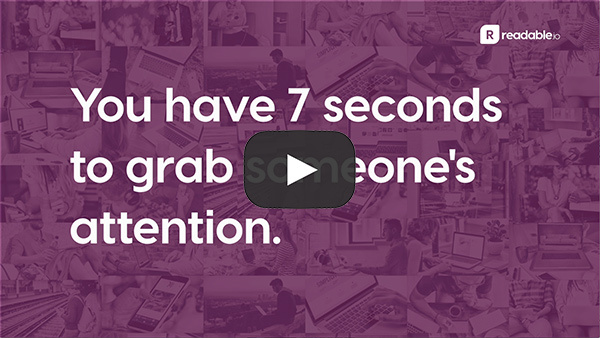 You have 7 seconds to grab someone’s attention. Take control of your content marketing with ReadablePro and cut through the noise. 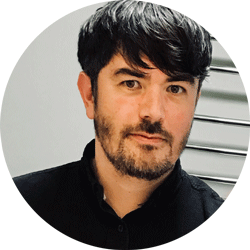 Dave Child, readable.io’s founder commented “We’re constantly looking at how our subscribers use readable.io and couldn’t be more excited to release ReadablePro. “The readable.io community have been great at giving us ideas on what they would like to see next. Along with great ideas on what would make their writing life easier. ReadablePro delivers these, and more, through an all in one app that has readability at its core. “Subscribers, old and new, will enjoy a far more advanced and fluid user experience. They can score as they type, have access to a wide array of readability tools and analyse entire websites – all within seconds. Cutting edge accuracy. Trustworthy algorithms verified by over 1,000 automated tests and hand-calculated scores. Score anything. We score anything – web pages, Word documents, PDFs, Markdowns and eBooks. URL + website scoring. Analyse an entire website in just a few minutes. Industry leading algorithms. The world’s most respected and trusted readability algorithms. Readability API. Build readability right into your website CMS or other software with our powerful API. Content analysis. Monitor the sentiment and tone of your content to ensure a consistent voice. Keyword analysis. Monitor keyword density of your content so it looks on-topic to search engines. Integrations. Make readability scoring available everywhere with our Dropbox and Slack applications. Readability reports. Generate reports (white-labelled for your clients) and have them emailed to you regularly.